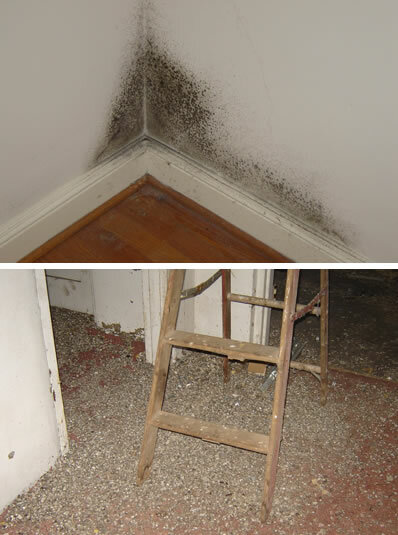 Harrisonburg Mold Testing Inspections: Is Professional Mold Removal Necessary? A general rule of thumb is molds that cover less than 10 square feet of surface in your home, can be removed by the homeowner. If you decide to do this yourself, you should limit your exposure by wearing what’s known as an N-95 respirator (available at hardware stores or via the internet), long rubber gloves and goggles to protect your eyes. Any time there has been a flood or a large amount of water intrusion and damage, you may want to contact a professional. This new business, called “mold remediation”, is typically performed by cleaning, fire restoration or asbestos abatement professionals that simply diversified after some additional training and/or accreditation. For more information on how to select a professional mold “remediator”, you can contact the EPA Indoor Air Quality Clearinghouse at 800-438-4318, or visit www.epa.gov/iaq/molds. If you have reason to suspect the heating, ventilation and air conditioning (HVAC) system in your home may be contaminated with mold as well, you may want to consult the EPA’s guide called “Should You Have the Air Ducts in Your Home Cleaned?”, which is also available on their website.